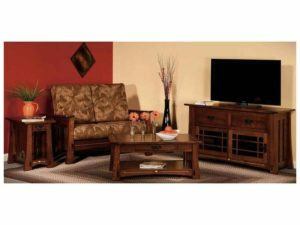 The Catalina Living Room Set boasts a complete look with sleek finishes and fine lines. 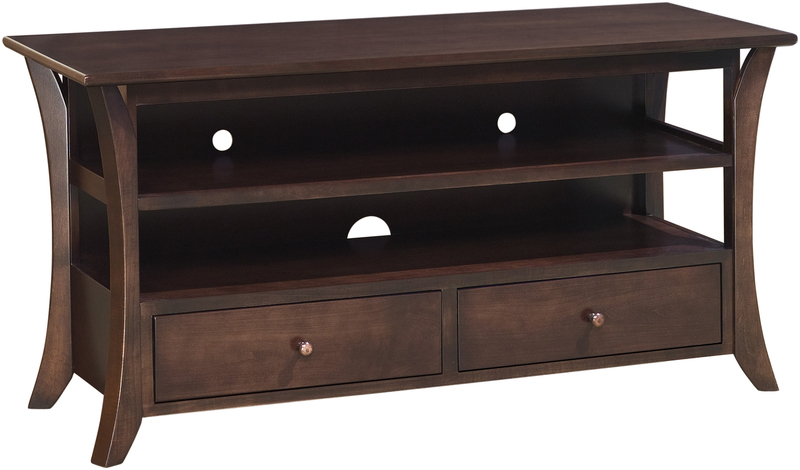 The slim, curved legs and modern Shaker design of the set make it an easy choice for any home. 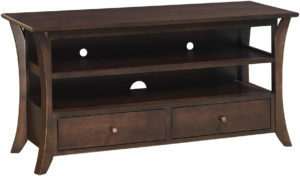 In addition, the set offers drawers to store your remote control or other accessories. Also, open shelving allows you to display your décor and keep your table tops free of clutter. 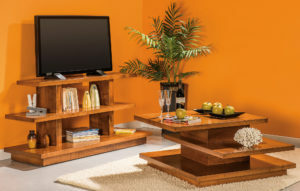 The open shelving in the TV stand is also ideal for storing your media devices. 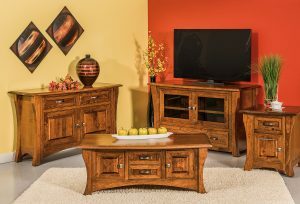 The collection includes an end table, coffee table, sofa table, and TV stand to fit your family room perfectly.